Aoife O’Brien has a Bachelor of Science (Hons) degree in Speech and Language Therapy. 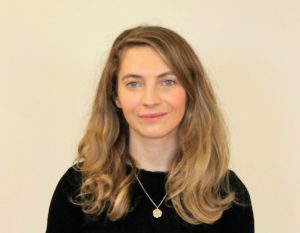 Aoife has over 10 years’ experience of working with children, young people and adults, with a wide range of communication difficulties including Autistic Spectrum Disorder, Down Syndrome, speech sound disorders, language impairments, and intellectual disabilities. As part of her role as a Speech & Language Therapist within the Down Syndrome Centre, Aoife works closely with children, families and teachers to help maximise communication in everyday environments. Throughout her work, Aoife has remained committed to ongoing education as a speech and language therapist and has additional professional training including Làmh, Hanen, PECS and Augmentative & Alternative Communication (AAC). She is also a full member of the Irish Association of Speech & Language Therapists (IASLT).